May 30 ~ Jun 30: The 4th Exhibition of the Biggest Painting in the World 2020 Haneda Airport, under the theme “Connect All the Towns in Japan, Connect All the Countries in the World”, was held at Sky Gallery, 6F, Terminal 1 of Haneda Airport. From Jun 15 to Jun 21, the big paintings from Shunan City, Ube City, Sanyoonoda City, Hagi City, Hofu City and Suooshima Town in Yamaguchi were exhibited. 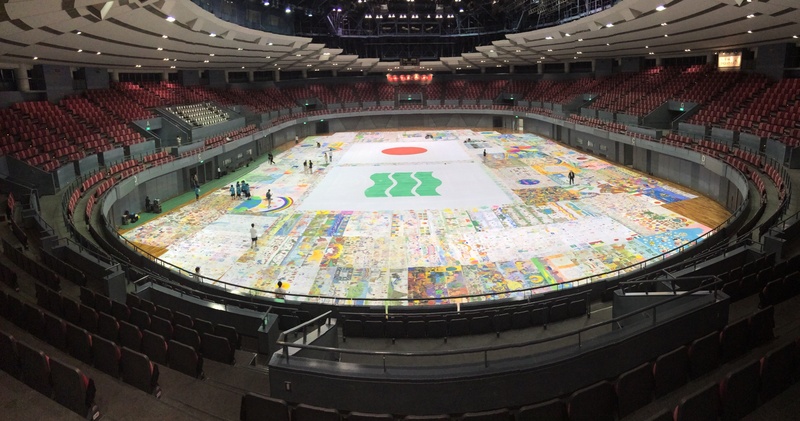 The Exhibition of the Biggest Painting in the World 2020 was held at the former Hiroshima Branch Office of Bank of Japan in Hiroshima. 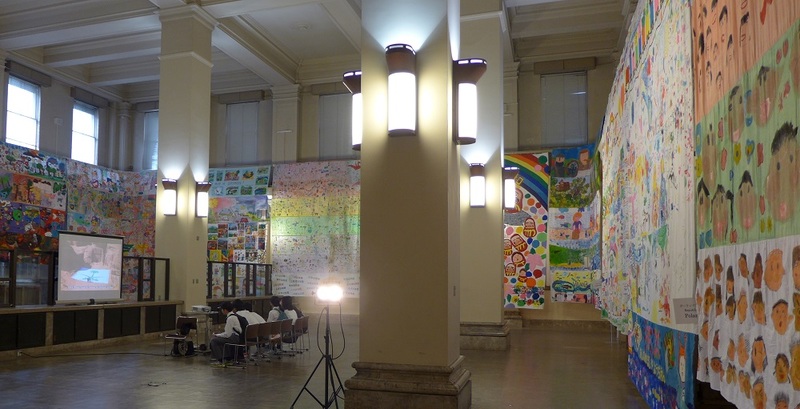 The Exhibition of the Biggest Painting in the World 2020 was held at the former Hiroshima Branch Office of Bank of Japan in Hiroshima during May 12 ~16, 2015. We appreciated very much a great number of visitors. Went to receive the Biggest Painting in the World 2020 in Sanyo-onoda City completed with the kind cooperation of the Board of Education of the city. 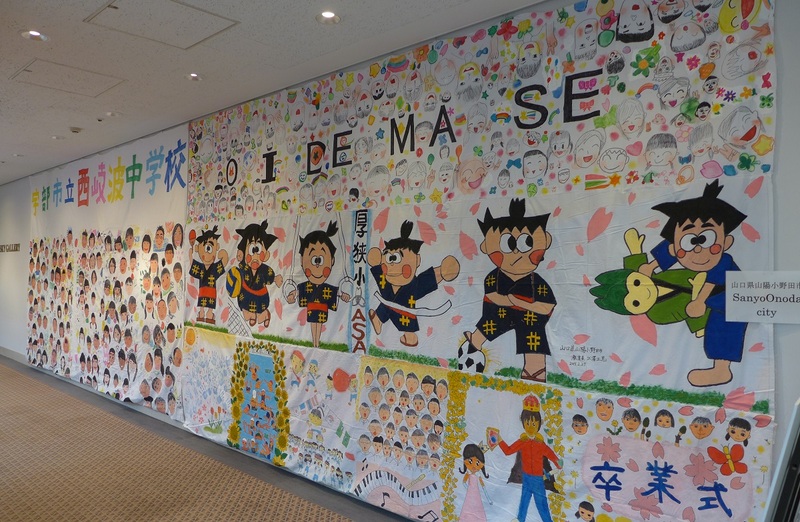 The photo shows one of the pictures by the pupils of Asa elementary school, the theme of which is a Japanese ancient tale called NETARO-SAN, a man who brought new straw shoes to the golden mine of Sado Island and changed them free with the old ones miners used. Then he extracted powder gold from them which he used for developing new rice fields. Our hearty thanks to Mr. and Mrs. Minoru Ishimaru, and Mr. Atsushi Honda, our representative in Yamaguchi Pref. Who accompanied us n this day.